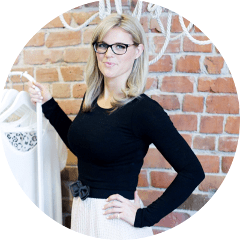 Personal Shopper – Need A Dress? Do you have any events coming up? Wondering what to wear? Or what I hear most commonly is “I don’t have anything to wear!” When events come rolling around on the calendar from weddings to tv appearances, whatever it may be you usually think, ugh, I have nothing to wear or I have to head out into the mall and find something new. Recently we did a personal shop for just that, dresses! This particular client has more than one occasion during the year she needs dresses, we pull numerous options to fulfill a handful of upcoming events. This type of shop saves hours of her time in the mall trying to find looks – she spent a maximum 2 hours with Mabelle Style and left the mall with 5 new styles for upcoming appearances. Check out a few pictures of some of our fave choices below! Mabelle style offers a personal shopping service that is a fun and entertaining experience. Our services range from wardrobe and style advice to corporate seminars in Vancouver, British Columbia.